..[INFO].. 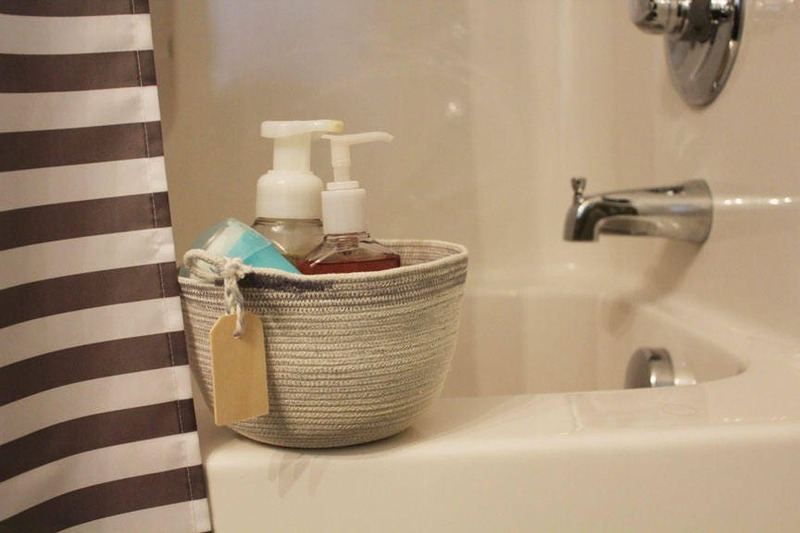 Pretty meets practical in this beautiful rope coil organizing basket. Measures approximately 7" wide and 4" tall. Sections of the rope are painted. Natural wooden tag adorns the basket but is removable. 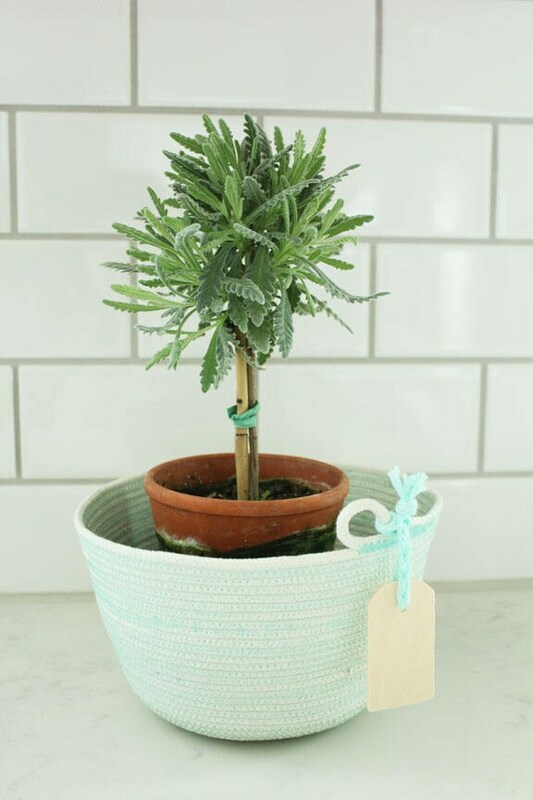 Sides stand up on their own but the basket is still flexible. Each basket is one of a kind. ==>Please note you are purchasing the exact basket in the first 2 photos. The other pictures are samples only. ..[BRING A LITTLE ORGANIZATION TO YOUR HOME].. 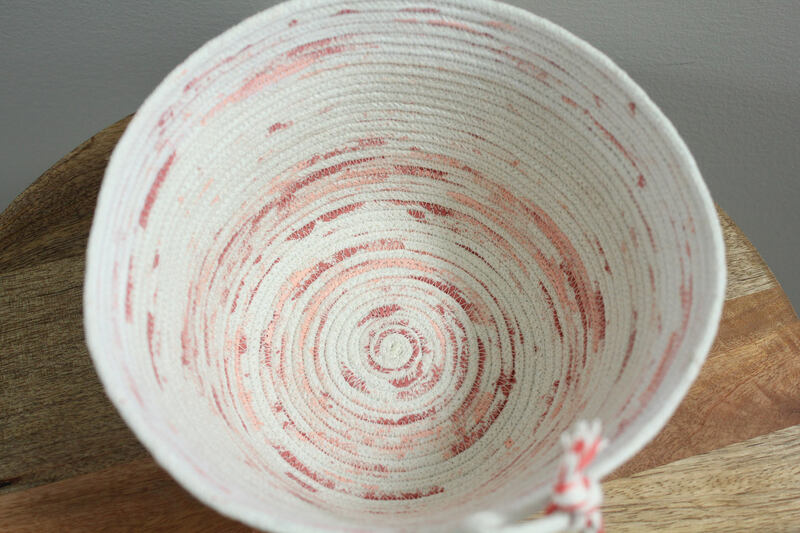 ..[CONSTRUCTION]..This basket is made from a cotton rope. **Please note I do use a natural rope product and color variances, smudges, pieces of colored string, etc. are common. 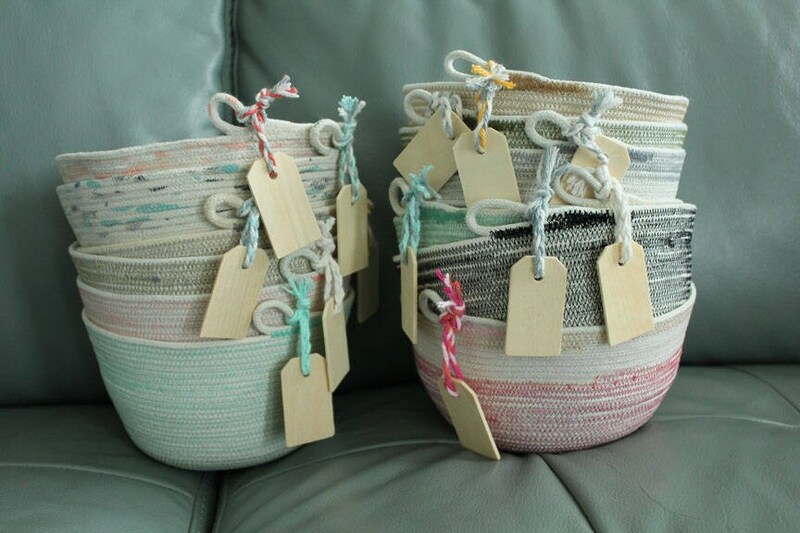 I think they add to the raw charm of these baskets. They may arrive a bit out of shape due to post office handling. Just reshape with your hands. 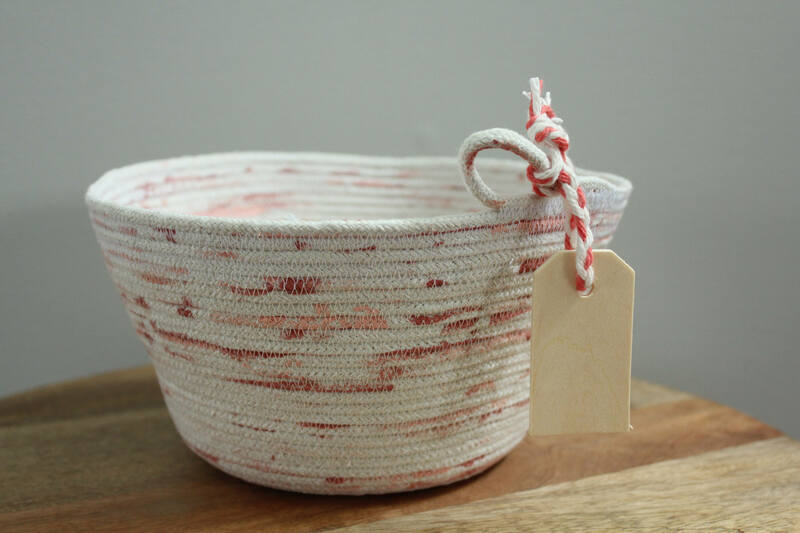 ..[BUY ONE FOR EVERYONE]..The Rope coil basket makes an amazing gift for everyone on your list. We are happy to include a short gift message if you are sending this item as a gift. Just let us know what you would like it to say in the notes to seller during check out. ..[EASY CLEANING].. Spot clean as necessary.